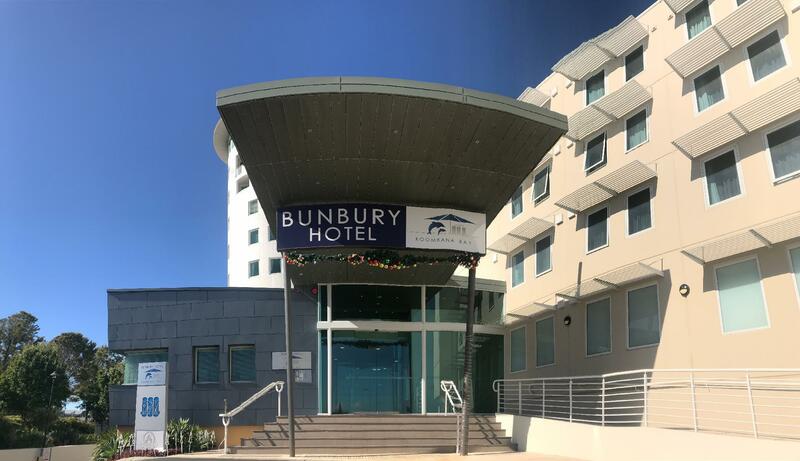 إذا كنت تبحث عن فندق بموقع جيد في بانبورى، فقد وجدت ضالتك في Mantra Bunbury Hotel . لا يبعد الفندق كثيراً عن مركز المدينة، فهو يقع على بعد 1.1 Km منها. في حين يستغرق الطريق منها إلى المطار حوالي 115 دقيقة. يشكل هذا الفندق ملاذاَ مريحاً للاسترخاء ويمنح زواره فرصة للاستجمام والتجدد، وهو يقع على بعد خطوات من المعالم السياحية الكثيرة للمدينة كمثل: Lava Art Glass Gallery & Studio, جراند سينما, Taffy's. يقدم Mantra Bunbury Hotel خدمات لا غبار عليها وكل أشكال اللياقة وحسن الضيافة اللازمة لإسعاد ضيوفه. لضمان راحة ضيوفه، يقدم الفندق الخدمات التالية: خدمة الغرف على مدار الساعة, مرافق مخصصة لذوي الاحتياجات الخاصة, تسجيل وصول/خروج سريع, تخزين الأمتعة, واي فاي في المناطق العامة . استمتع بوسائل الراحة الراقية في الغرف أثناء إقامتك هنا. بعض الغرف تتضمن تلفزيون بشاشة مسطحة, حوض الاسترخاء, غرف لغير المدخنين, مكيف هواء, تدفئة لمساعدتك على استعادة طاقتك بعد يوم طويل. يمكنك الاستمتاع بالأجواء المريحة التي تقدمها حوض استحمام ساخن, حمام سباحة داخلي, سبا, تدليك, ملعب تنس طوال النهار. مهما كانت دواعي سفرك فإن Mantra Bunbury Hotel هو خيار ممتاز لإقامتك في بانبورى. أجر إضافي يتراوح بين1.1% و 3.5% سينطبق عند استخدام بطاقة إئتمانية. لمزيد من التفاصيل برجاء التواصل مع العقار. العقار يوفر خدمة التنظيف فقط قبل تسجيل الدخول. لا يوجد خدمة تنظيف أثناء الإقامة. يجب على النزلاء الذين تقل أعمارهم عن 18 عامًا أن يكونوا بصحبة وصي، ويجب على الوصي تقديم بطاقة هوية تحمل صورة حديثة أو إثبات للوصاية عند تسجيل الوصول. يتطلب العقار دفع مبلغ تأميني نقدي بقيمة 200 دولار أمريكي أو مبلغ تأميني بالبطاقة الائتمانية بقيمة 50 دولارًا أمريكيًا عند تسجيل الوصول. Excellent location. We went for the fireworks on the Australia Day holiday and our room overlooked the setup point for the fireworks. Sat in our room with a glass of wine watching the fireworks. Even better was watching the traffic jams after the event knowing we didn't have to join them. Great hotel with good, well equipped and modern rooms. Food maybe not cheap, but decent restaurants are very close. Swimming pool area with jacuzzi but no sauna. No wireless network at the time we visit. The location is great, easy to find and nice views. The lobby was very welcoming and the entire place extremely clean! Only issue I had was only having the one little carton of milk. Other than that , it was perfect ! couldnt fault it, lovely clean large rooms, restaurant food was delicious and good value. Won't stay anywhere else in Bunbury from now on. I enjoyed my business stay - and the great room for working and relaxing. Staff were most helpful. It is very central and some good views My only fault is that there was no room service on Sunday evenings - but there is a linkage to local restaurants to deliver food. I would and will stay there again very happily and would recommend the hotel highly. 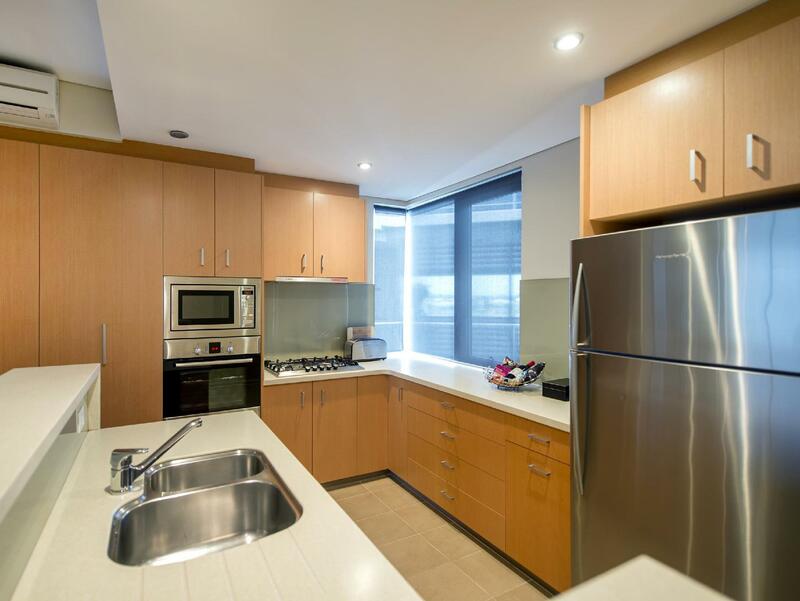 Great location very clean with good proximity to the centre of town. Food a bit hit and miss so didn’t eat at all this time. . Breakfast last time was cold and congealed beans were just not our cup of tea. Staff at the front of house are polite and efficient a credit to the hotel. We enjoyed our family stay at Mantra. The staff were very friendly and helpful. The only that ruined it was when we got harassed by one of the Silo residents, who din't like us parking to load our bags. Brilliant hotel. Loved the location. Breakfast was fantatstic best I have ever had in Bunbury. Ordered off the buffet for a full brekkie (extra cost). Staff have a lovely can do attitude. Indoor pool and spa was a great addition. Bar area lovely however early close on a Friday wasn't expected. Happy hour 5 to 6pm was nice. Room spacious and clean. We will be back. Would like to be able to rent movies as before. Have staff speak English... Also menu needs a review. best value for money if wishing to stay in the Bunbury area for pleasure or business. This is the third time we have stayed at the Mantra and it is a really good hotel. A good position on the bay and close to walk into town or to a selections of restaurants and bars. Very pleasant staff - Jacqui at Reception was very friendly and nice. Our room was lovely, very modern and large and this time we had a nice view. Good modern large bathroom and a lovely selection of toiletries. Self contained with a toaster/microwave and various items if you wanted to stay in. Very quiet and we didn't hear any noises at night or in the morning. We will definitely stay again. Friendly, efficient check in. Lovely spacious room with great amenities, spotlessly clean. Close to bars and restaurants, easy walking paths to waterways and Dolphin Discovery. Great value too! What more could one want? We only stayed overnight and this was our first time at the Mantra. The reception staff were very professional and efficient. We found the room to be very spacious and well set out. The TV was a good size and layout of room was quite good. We found the bathroom to be a little on the small size with the toilet tucked behind the door but that was only a minor negative. We definitely would stay there again. Great place to stay. So close to the water. Also lots of great restaraunts within 5min walk. Unable to go to the hotel restaraunt as it was closed certain days over the New Years period. Bed was a bit uncomfortable and I realised it was 2 singles together but other than that was great. Spa bath was nice and relaxing. Not that this is uncommon anywhere but the mini bar is so ridiculously over priced!! But regardless would certainly return!! I really recommend the Bunbury Mantra. 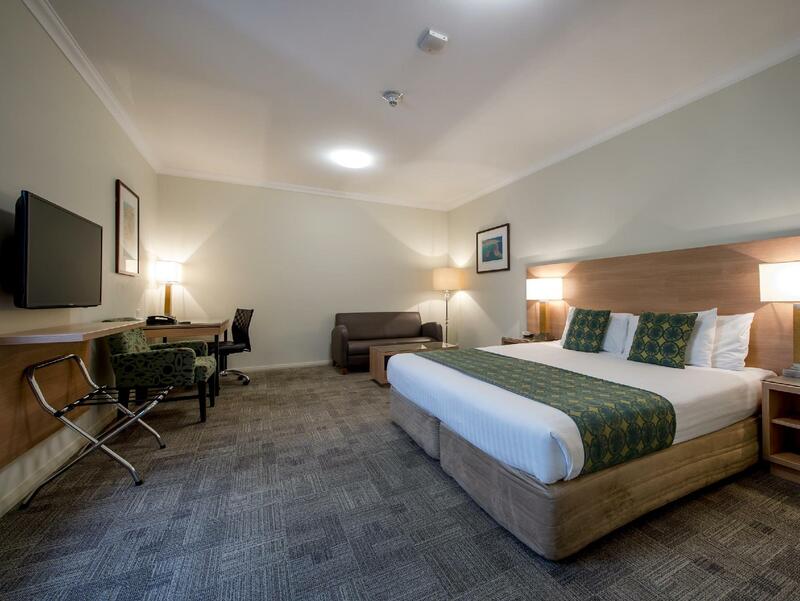 It's location is in convenient walking distance to the CBD, Beaches and tourist attractions like the Dolphin Discovery Centre. The staff is friendly and supportive and the rooms are clean and comfi. However, in my opinion, the breakfast buffet, especially the continental choices, is not value for money and needs improvement in regards of variety. The room was spacious and had a kitchenette. The hotel is so well kept we thought it had been opened within the last year! It is a 10 minutes walk to the visitors' centre and the Rose Hotel in the city. Next to the hotel is Casellas Tapas and Wine Bar and a small protected beach. The hotel facilities include and indoor pool with heated spa and a tennis court as well as Silos Restaurant (that we did not use). The staff on check-in were very professional and friendly and remained so until check-out. Every time we entered the lobby we received a "good day" from the desk staff. There is free internet in the lobby and a great coffee machine @ $2 a cup. Whilst our room did not have any views (because of the package we were on) sea view rooms are available at a cost. We did a walk from the city to the lookout (worth the climb) the lighthouse and back along the foreshore to the hotel. The Silos Mantra is a landmark so you can't get lost. Will definitely stay again. Really good except for the pass cards not working on the external door next to the day spa. Being stuck outside at night with two small children (2 year old and 7 month old) with numerous bags and not being able to get in was very inconvenient. And staying on a Sunday night with the restaurant closed and then no room service available was not good. Otherwise the room and service were great. Clean, nicely designed, simple yet very convinient. Great location next to the beach and some great restaurants. Above all, very friendly and helpful staff. Will stay there again well located, nice and clean.